The North East has a long established history of being a hotbed of artists and talented creatives across many fields, but it’s often taken for granted that so much of our region inspires that great creativity. A new display now on at The Biscuit Factory, hopes to engage communities in the preservation of their local heritage. This specially curated collection runs until Thursday 3rd March, is inspired by the Tyne and Wear Heritage Forum, is exlusively on show at the UK’s largest art, craft and design gallery, The Biscuit Factory. The work featured comes from two of the North East’s most prominent artists, Malcolm Teasdale and Alistair Brookes. 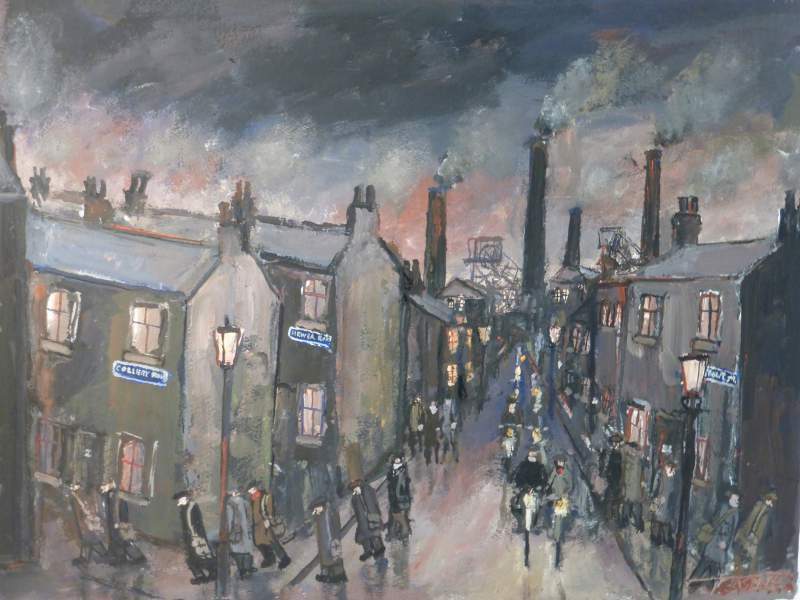 Teasdale will bring to life nostalgic scenes of industrial life in the North East. While Brookes will have paintings and pottery inspired by mining communities and the traditions and lives that are such a part of them. The heritage themed collection coincides with this month’s Tyne and Wear Heritage conference, featuring guest speaker and owner of the art gallery, Ramy Zack on Saturday 23rd January. ‘Innovation, Invention, Industrialisation’, is the title of the conference, which will bring together all local heritage and history groups in the region alongside members of the general public. It’s all part of a larger project called HertiageACT! designed to provide encouragement and support for local communities in taking responsibility for heritage features in their own region. The exhibition inspired by Tyne and Wear Heritage Forum runs until Thursday 3rd March at The Biscuit Factory, Newcastle.